Our unique wilderness homestead at Lake Laberge is accessible by dog team or snowmobile in winter, by boat or canoe in summer. We are pleased to offer you a home-style Yukon welcome and experienced guiding by our family members. We have been in the business of guiding wilderness trips since 1975. 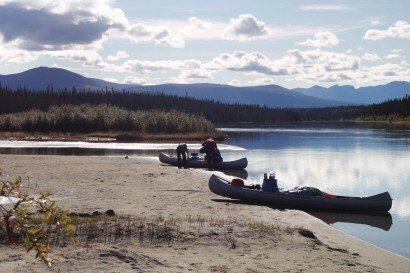 Over the years, we have travelled thousands of miles in the Yukon wilderness by foot, dogsled, canoe, boat, and snowmobile; camping, guiding, sled dog racing, and hauling supplies to our home. We have lived year-round in the wilderness for over 30 years. It is our goal to help you feel like you are “coming home to the wilderness,” too. 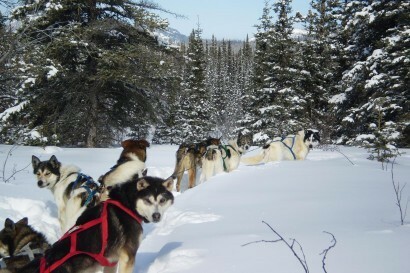 In winter, we offer guided dogsledding. 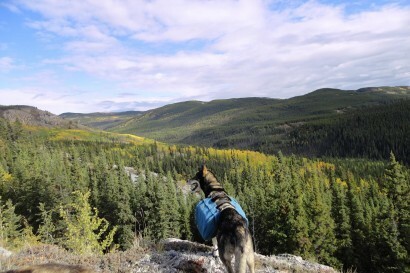 In summer, our sled dogs join us on hiking and backpacking trips, as pack dogs and companions. 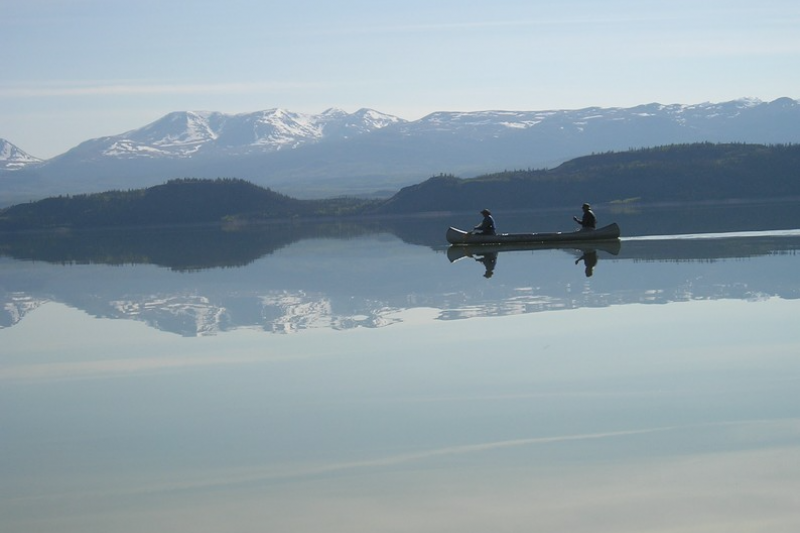 We also offer canoeing and boating on Lake Laberge and the Yukon River. Your trip may be a camping trip or based from our wilderness homestead, surrounded by spectacular Lake Laberge scenery. Outstanding skies over the lake and mountains provide sunrises, sunsets, northern lights, and stars, according to the season.